A 6-year-old Middle Tennessee girl hauled in a catfish more than twice her size. 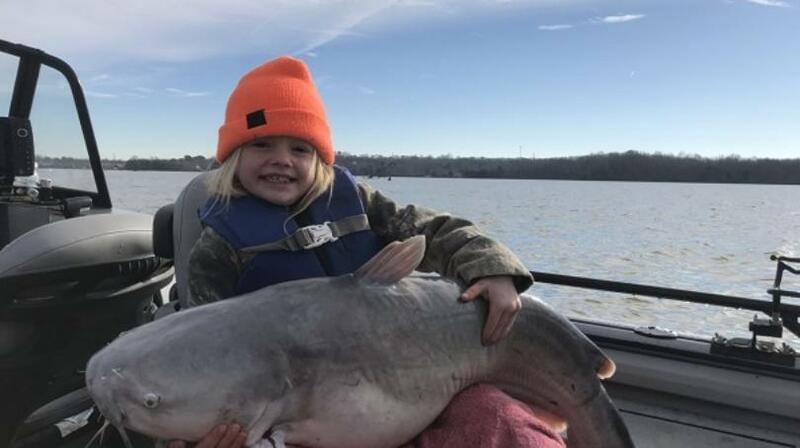 Farrah Price decided she wanted to go fishing Monday despite the frigid temperatures. So, her dad Chris took her out on Old Hickory Lake. Chris says they weren’t on the water more than 30 minutes when Farrah hooked the lunker. It took them about 15 minutes to get the monster on the boat. The once in a lifetime catch weighed in at 58-pounds.